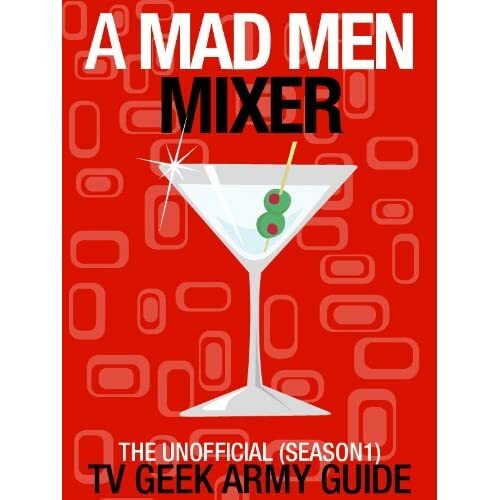 Posted on Tuesday, February 14, 2012, by Eric - TV Geek Army "Revered Leader"
As you know, we look for any shred of news to pick apart and pontificate upon during the looong wait for Mad Men Season Five. We saw the British Invasion and The Beatles specifically introduced during Mad Men's fourth season when Don Draper scored Beatles tickets for himself and daughter Sally (the latter's squeals of joy upon learning hearkens to the real life screaming hordes that greeted The Beatles' arrival wherever they traveled back in the day). As we also know, Mad Men creator Matthew Weiner is a meticulous craftsman when it comes to every detail of the show, which includes period props, costumes, and music. And in terms of music, that means fabulous tunes composed by David Carbonara and vintage tracks such as "Tobaccco Road," by The Nashville Teens, which perfectly kicked in as Season Four's premiere episode, "Public Relations," ends. And now, as a result of negotiations to use songs owned by Sir Paul McCartney for the show, the 69-year-old Sir Paul will have a walk-on role during Mad Men's fifth season. It's possible that McCartney's interest – beyond aspirations of acting or obsession with Mad Men – is to market his current solo music offerings, as his current work, as opposed to decades old recordings, will be part of the new season's musical makeup. Of course, if anyone in tandem with Carbonara will have a feel for producing the perfect musical accompaniment for the 1960s-themed show, it will surely be Sir Paul McCartney himself. And as Season Four left off during 1965, we are now at the dawn of the era popularly thought of today as "the '60s," and The Beatles and McCartney form an intrinsic part of its cultural legacy.